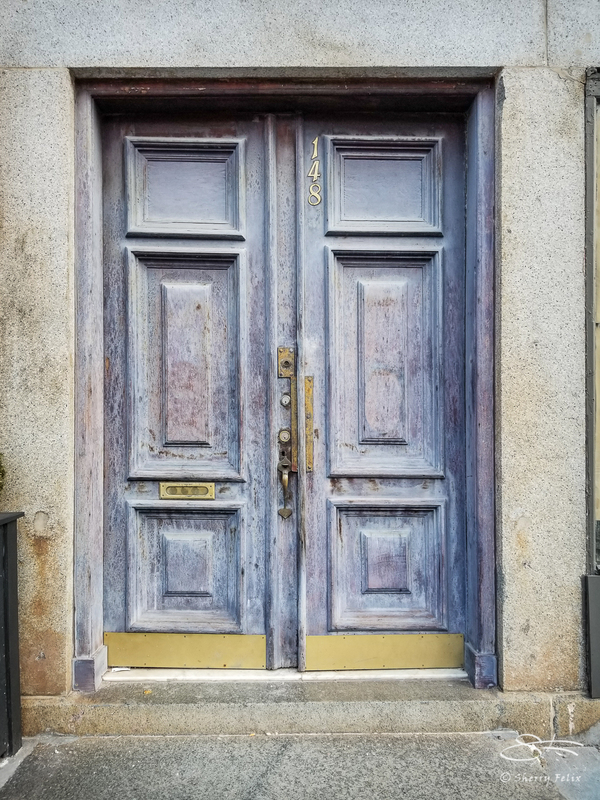 I love the lilac, lavendar blue gray color and patina on this door. I hope it stays this way for a while. I love how you captured this door, Sherry! The color and patina are beautiful. Thanks for sharing. Thanks. It was waiting for me to photograph it. I could gladly look at this door every day. If I get to own a front door someday I’d like to try to mimic the color and texture. Lovely find Sherry. I also like the way it just keeps drawing in the eye because it’s slightly off square. It is oddly wonky. Thanks Norm. I love this door and well captured. Thank you. I see you are interested in photography too so I followed your blog. I do too! Nice find. Thanks Jet. Snow’s melting fast..